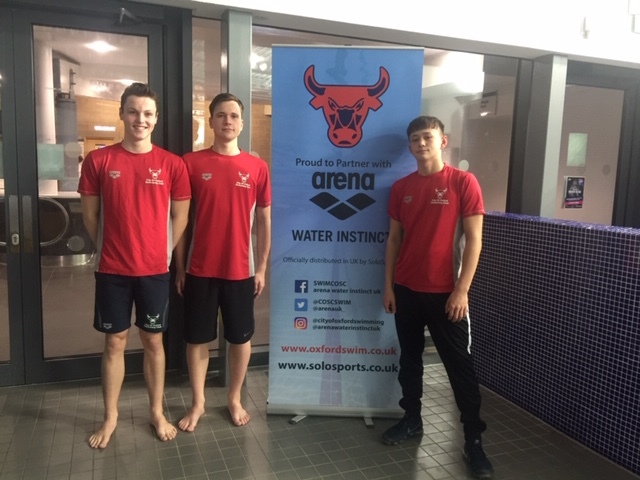 City of Oxford Swimmers Billy Wotton, Nicholas Skelton & Kenji McDade have been selected for the Swim England National Event camp on the 17-20th December 2018 at Ponds Forge, Sheffield. This camp is part of the Swim England pathway programme, that aims to develop high performance swimmers of the future. Their recent selection has come off the back of their success at the Swim South East Regionals and British Summer Championships and is a great achievement for both the swimmers and the club. Further proving that Amanda Booth’s (Head Coach) development of the National and High Performance Squads and combining this with the appointment of Michael Peacock (Lead Strength & Conditioning Coach) and Max Honigsbaum (Assistant Strength & Condtioning Coach) to provide a concentrated strength and conditioning programme at all levels and age groups, is really beginning to shape the club for a successful future.